How A Trip To Costco Can Work As An Investment Strategy As part of his investing adventure, NPR's Uri Berliner tries his hand at bulk buying. The idea: Stock up on goods now that you know you'll need later. It's a hedge against inflation. But figuring out what to buy and how much isn't so easy. 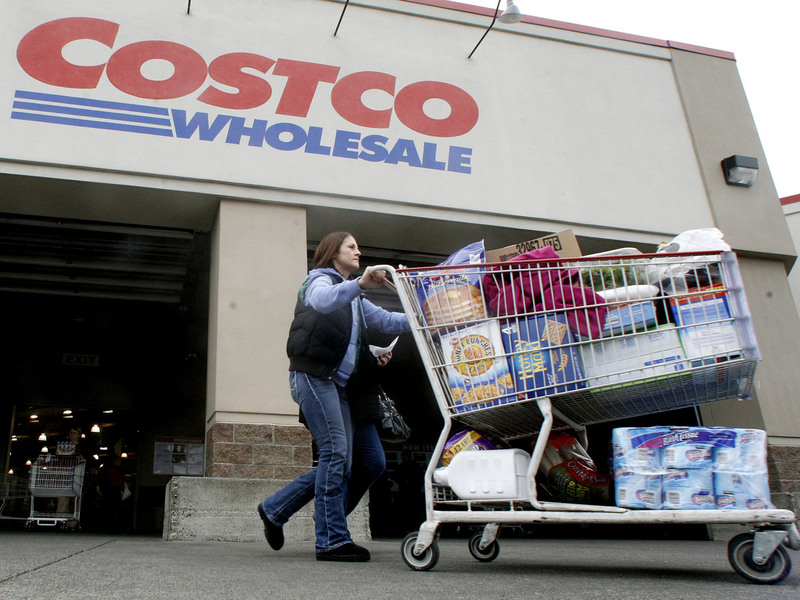 A recent trip to Costco cost NPR's Uri Berliner $303.53. 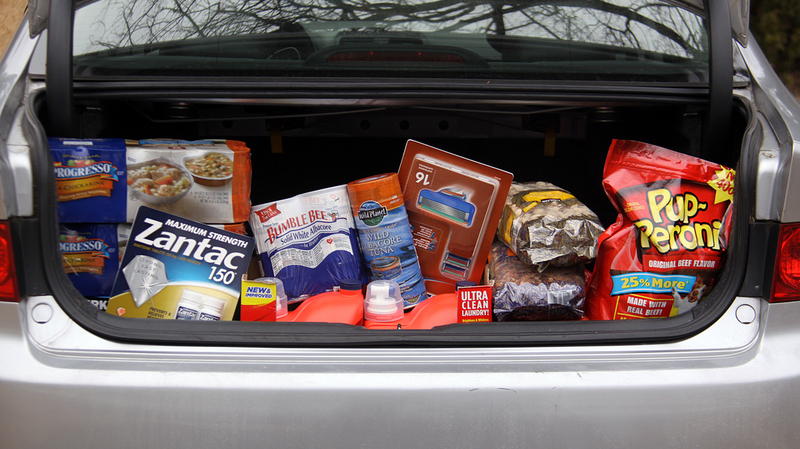 The haul included razor blades, cans of soup and tuna fish, laundry detergent, heartburn relief medicine and dog treats. As an investment, it will pay off if he uses what he bought — and if the price tag for the same items is higher if he returns in a year. NPR's Uri Berliner is taking $5,000 of his own savings and putting it to work. Though he's no financial whiz or guru, he's exploring different types of investments — alternatives that may fare better than staying in a savings account that's not keeping up with inflation. Mark Cuban is a billionaire, so it may be a surprise that the owner of NBA's Dallas Mavericks purchases everyday items like razor blades and toothpaste in bulk batches. It's stuff he knows he'll use in the future. Purchasing goods in volume is cheaper than buying them one at a time. You save on transaction costs like driving to the store. Here's the thinking behind bulk buying: Purchasing goods in volume is cheaper than buying them one at a time. You save on transaction costs like driving to the store. If your money in a savings or checking account is losing value to inflation — as it would be right now — why not spend some on everyday items you know you'll need? "The money you save by investing in bulk will provide a better return on investment than any investment vehicle on the planet." I found Cuban's thoughts on bulk buying intriguing and a good fit for my investment adventure. So I called up economist Russ Roberts, a research fellow at Stanford's Hoover Institution, to help me fill my cart at a Costco in Washington, D.C.
Inflation is low these days, running at a 1.7 percent annual rate. Still, it outpaces the return on a savings account. Roberts says if inflation starts rising, to say, 5 percent, the argument for bulk buying becomes more powerful. "Do you have an investment now that pays 5 percent? The answer is: not easily," he says. He explains that a mutual fund might achieve a 5 percent return — but that's only if the stock market is doing well. Savings accounts and money market funds don't pay anything close to that. "So it's certainly true that cash, if you can spare it to convert your cash into real goods whose price is rising, [buying in bulk] is not a bad idea," Roberts says. Being an economist, Roberts is trained to look for trade-offs. "There are some limits to the value of that advice, one being the size of your house," he says. With storage capacity and global prices in mind, we set off, starting in the food aisles. Food prices bounce around a lot. This year, the Agriculture Department predicts prices will increase between 2.5 percent and 3.5 percent. There are two particular challenges with bulk food purchases: expiration dates and what I'll call the "eyes-are-bigger-than-the-stomach" issue. A 50-pack of nacho cheese Doritos that looks appetizing now can become a cause of regret in a few months. Nuts. We're looking at stacks of nuts. One argument in their favor: They keep well. I'm a big fan of pecans, so I snag a 2-pound bag that's selling for $13.99. Pecans are an American specialty, and exports to pecan-loving destinations like Hong Kong and Vietnam were strong last year. So if demand stays high overseas, prices could jump and my pecan purchase would be a good deal. Verdict: Sold! I buy a 2-pound bag. Trash and lawn bags. Over at household supplies, trash and lawn bags bulge in surprisingly heavy boxes. Plastic bags are made with petroleum. Oil prices could impact their purchase, right? Oil prices "are high historically right now. There's tension in the Middle East [that] could be the cause or it could be world demand and growth. China has been another argument as to why oil prices are high right now," Roberts says. "They could easily come down in which case this would not be a good bet. But if the Middle East heats up, which of course it can, this could be a good purchase." A geopolitical economic analysis is helpful, but it didn't solve the question of whether trash bags are a good buy. So then Roberts says to forget the big global picture and instead look at the price tag on a box of bags. "The advantage of the trash bag investment is you get 200. You buy three of these you've got 600 trash bags , you are set for a long, long time. And they don't take up that much room in your garage," he says. Also, they probably won't be stashed away and forgotten. Trash happens — inevitably. Verdict: I pass on these but buy a smaller box of 90 bags. T-shirts. On a bulk-buying trip there's more than thinking about prices. You may start wondering about your future self. There's little doubt the two six-packs of T-shirts I'm eyeing are priced right — they're less than $4 per shirt. But buying 12 T-shirts is a long-term commitment to staying who you are physically. Buying so many T-shirts would mean exerting a bit of psychological pressure on myself to keep my weight in check. "Yeah, you're putting down a bond basically," Roberts says. "You're investing to say, 'If I mess up and don't eat right and exercise insufficiently, I will have thrown away that money.' " Verdict: Sold! I buy two packages (12 T-shirts). Now, throwing away money isn't the purpose of this undertaking. I'm looking to fill my cart with things I'll definitely use so that in the long run, I've actually saved money by buying in bulk. After well more than an hour inside the store, I come out with: 16 razor blades, three 8-ounce tubes of toothpaste, 16 cans of soup, two 186-ounce containers of laundry detergent, 90 tablets of heartburn relief medicine, two 40-ounce packages of dog treats, 12 white T-shirts and more. The total bill: $303.53. How can I tell if bulk buying pays off? It pays off if I use what's in my cart — and if I come back to the store in, say, a year, and the total price tag on my items is higher than what I paid.